Potting soil and mixture plants are sourcing various substrates with coco becoming more and more dominate among all other type of media e.g. 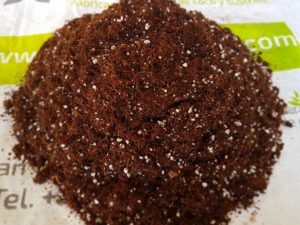 peat-moss, perlite, bark and more. Potting soil companies require very consistent material to make sure their final product will not change from one batch to the other. Our 5kg bales with large range of physical and chemical properties makes it relatively easy to use Pelemix as their major and sole coco supplier.